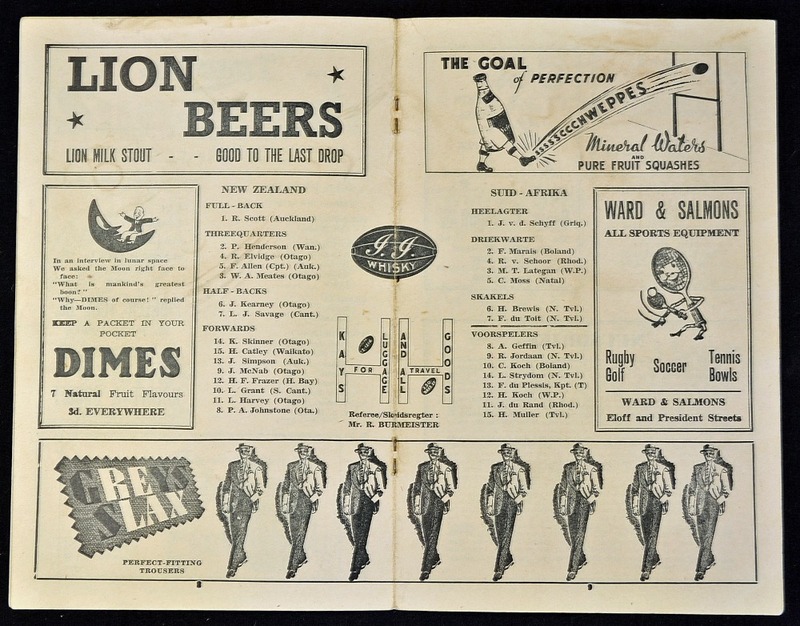 1949 South Africa v New Zealand Rugby Programme: Scarce 16 pp A5 b/w programme for this 2nd Test at Jo’burg, won by SA as part of a 4-0 series win. 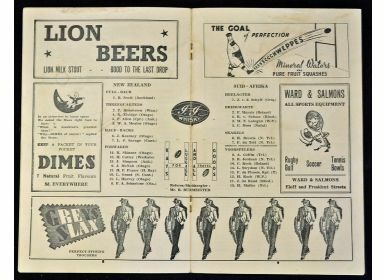 Transvaal RFU programme in near-mint condition. Note: The New Zealand Union left Maori players out of the 30 man tour squad to meet the apartheid conditions set down by S Africa.